This gorgeous ring has a large oval green aquamarine set in half horseshoe and claw settings with 4 round diamonds set into each shoulder above an 18ct yellow gold tapering shank. The ring is hallmarked by the London Assay Office for 18ct gold and bears the sponsor's mark "A&SP" for Alan & Sue Poultney. 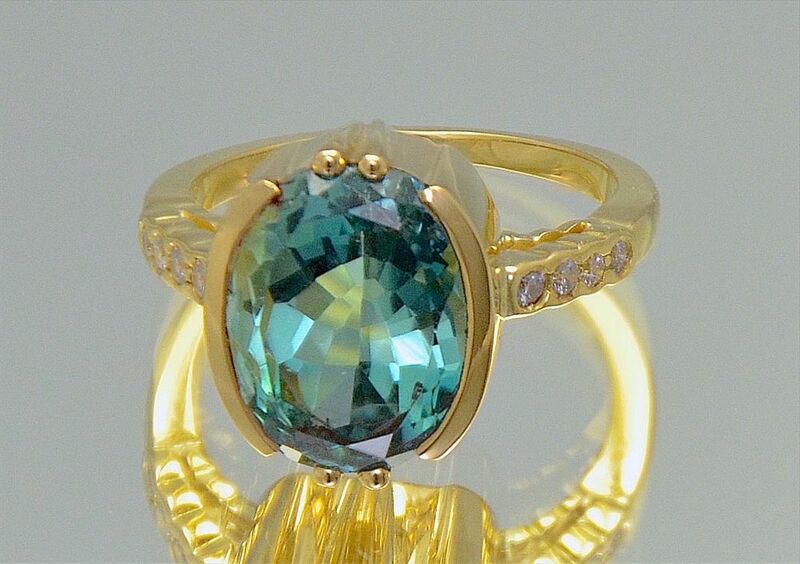 Alan cut the aquamarine from the rough a number of years ago and the ring has been handmade to our design.